Dark-colored columns and planes lie on giant linen and cotton canvases. Upon a close look, one can see the gradation of colors on the rough textures of the canvases. Late monochrome painter Yun Hyong-keun’s paintings are a result of hardships and emotions that grew out of suffering. As in Mark Rothko’s paintings, Yun’s works, too, evoke religious and mythical stirrings in the viewers. Perhaps, Yun’s paintings appear imbued with grimmer emotions. The National Museum of Modern and Contemporary Art’s Seoul branch is holding the first retrospective of the late artist Yun. The exhibition comprises some 40 paintings, 40 drawings and about 100 archival materials including donations by the artist’s family. 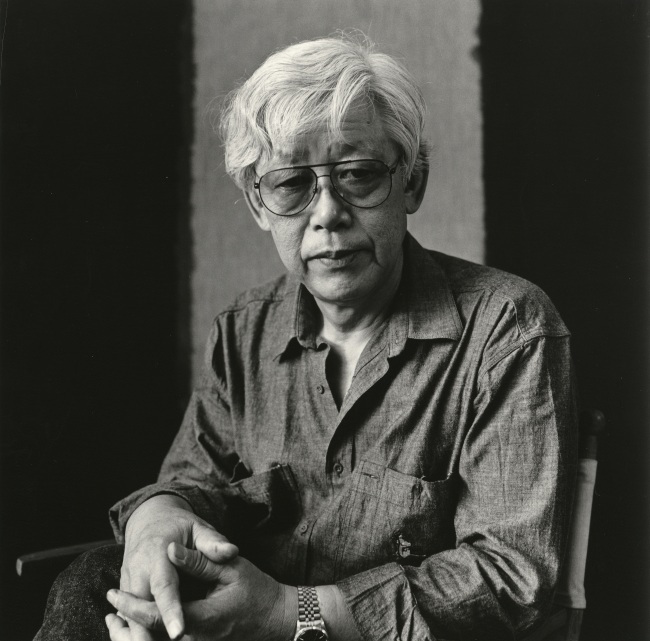 Yun’s works come across as rather dark perhaps because he was of the generation that lived through the most tragic and painful moments in the country’s modern history. Born in 1928 -- during the Japanese colonial rule of Korea -- Yun witnessed the Korean War and the nation’s division, the student-led April Revolution of 1960, the authoritarian regime of Park Chung-hee and also the pro-democracy movement in Gwangju and the massacre that followed. During the tumultuous years, Yun was blacklisted by the government and sent to prison a couple of times, often for trivial and fabricated charges. Yun barely escaped execution by firing squad when he was accused of participating in the leftist movement in 1950, according to the museum. “The world of my painting is implicative of the hardships I have endured,” Yun once said during an interview in Paris with Jean Brolly, a collector, in 2002, five years before his death. “What is a beautiful thing? It’s associated with the humanity’s inner world. To live most beautifully means to survive after experiencing extreme suffering and hardship,” Yun said. Regarding a series of paintings the artist produced in July 1980, curator Kim In-hye said, “Upon learning of the incidents (Gwangju massacre), he became very furious and went out to the yard to make these works.” Unlike other paintings -- which have only the production years marked -- Yun wrote the month, “June,” on the back of the paintings, as a gesture to commemorate the occasion. 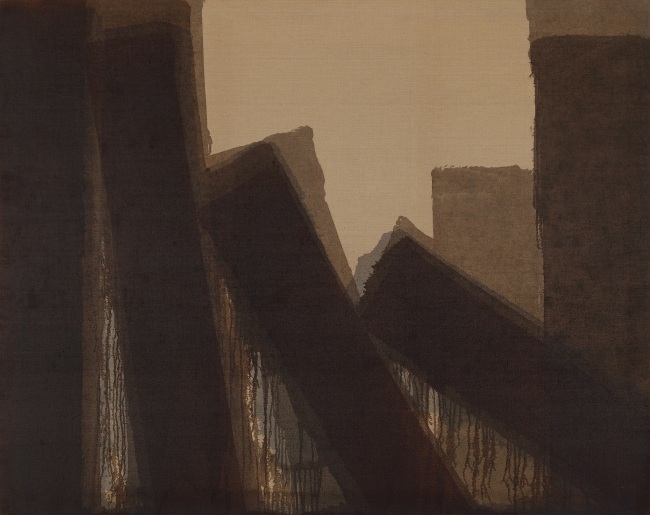 Perhaps the most emotional of the artist’s works, the paintings on the Gwangju massacre show thick dark pillars toppling over one another, like people collapsing. The pillars are not tidily outlined and look as if they are trembling. The colors spread as if dripping. 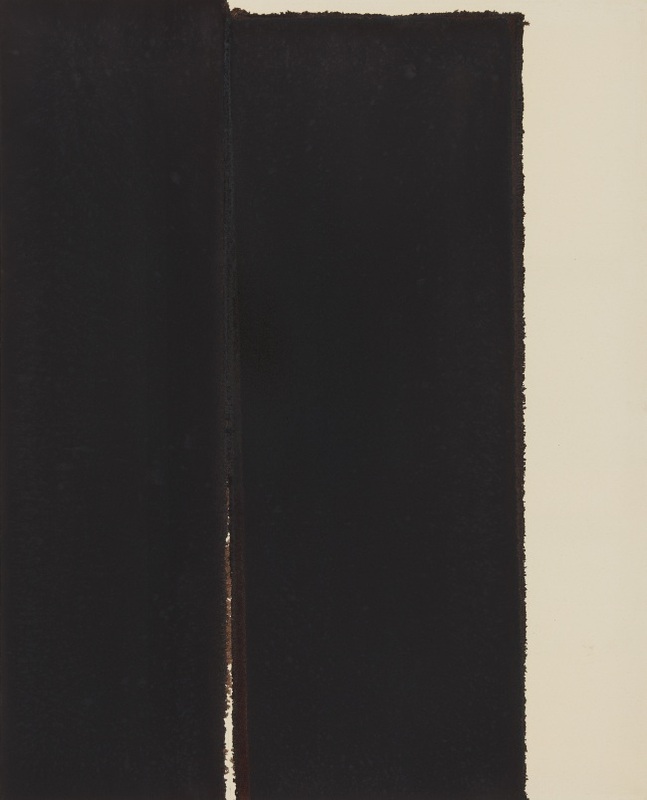 Combinations of blue and umber dominate Yun’s major works produced since the early 1970s. But he did not always use his signature color combination. In his early years, he employed rather bright colors that are more ephemeral. It is a point that he shares with his close mentor and father-in-law, artist Kim Whan-ki. It was in the 1970s that Yun broke away from Kim’s influence. In 1973, Yun was detained after openly complaining about Sookmyung Girls’ High School’s granting admission to an unqualified student, whose father happened to be a rich donor of the school. Yun was a teacher there at the time. He was accused of violating the anti-communist law, and one of the charges against him was having a hat that looks like one worn by Lenin. “The thesis of my painting is the gate of heaven and earth. Blue is the color of heaven, while umber is the color of the earth. Thus, I call them ‘heaven and earth,’ with the gate serving as the composition,” Yun wrote in a diary entry from January 1977. Yun’s later works are simpler yet darker. Still using the two main colors, Yun started using less oil in the paint mixture to add dry textures and changed the composition from “the gate of heaven and earth” to painting all over the canvas. “Upon seeing Yun’s works Donald Judd bought three pieces. Later Judd invited Yun to the Marfa exhibition, as well as to his gallery in SoHo, New York, in 1993,” curator Kim said. The exhibition at the MMCA highlights archival materials to help the audience better understand the artist. The materials are from the artist’s atelier in Seoul and include Donald Judd’s work, books, personal letters to Kim Whan-ki, handicrafts, as well as a work of Chusa Kim Jeong-hui, Korea’s most highly celebrated calligraphy artist from the late Joseon era, whom Yun admired.